In our latest Interview Spectacular, we were thrilled to be joined by Kelly Thompson – Marvel writer of show favorite books like Hawkeye & Jessica Jones plus much more. Kelly breaks down her beginnings as a comics fan and aspiring writer, her thoughts on diversity in today’s books, and the growing role of women in superhero culture. The interview sits just under an hour and we can’t thank her enough for the time. For all things Kelly, follow her on twitter or tumblr, and purchase all of her books. In the latest Interview Spectacular, we were joined by Gotham’s Francesca Root-Dodson. Francesca recently finished her filming as Ecco (perhaps aka Harley to most fans), and is currently promoting her feature film, Free Spirit (which she wrote, starred & directed). On the show, she details her first days on Gotham, her appreciation for comics culture, and where her career may be headed next. Also, she plays a tremendous game of marry/casually date/kill. Follow Francesca on Instagram to stay up to date on Free Spirit’s release and all her latest happenings. In the latest Interview Spectacular, we sit down with David Pepose, creator & writer of Spencer & Locke out of Action Lab. David gives us the rundown of how the series came to be, working with Jorge Santiago, the series being optioned for a movie, and where the story is headed in the second arc. Additionally, we chat him up about some of his current favorites in comics and have some fun with rapid fire questions. Spencer & Locke 2 arrives in comic shops on April 24th, 2019. Be sure to preorder today, and many thanks to David for the chat! In the latest Interview Spectacular, we are joined by Alterna Comics creator Peter Simeti. Peter is set to launch his movie, The Chair, which was born from his comic of the same name that he launched about 10 years ago. Peter details life as an indie publisher, his passion for creative storytelling, and the process and hard work it takes to launch a movie. Find more information - and buy tickets - about The Chair online at TheChairHorror.com. And read more from Alterna Comics at AlternaComics.com. 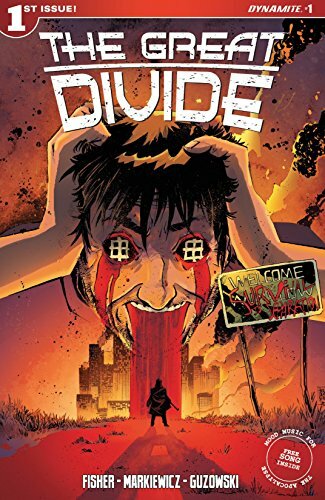 We recently had the pleasure to talk with Ben Fisher & Adam Markiewicz, creators of The Great Divide out of Dynamite Entertainment. We reviewed their new book on a recent episode and couldn't wait to read through more. The two talk their background, process for the book and what's to come in this first six-issue arc. 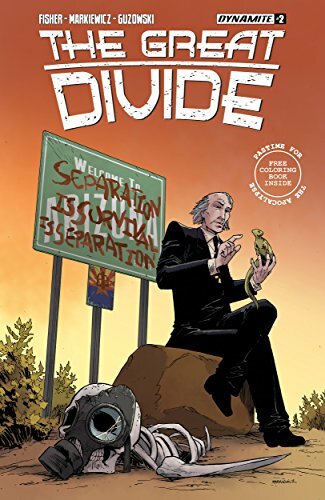 Enjoy the chat, and go pick up a copy of The Great Divide. In the latest Interview Spectacular, we sit talk with Cody Sousa, the creator of Croak at Alterna Comics. Cody talks about his beginning comics career, the idea behind the story, Croak's evolution from short film to comic, and much more. In the latest Interview Spectacular, RJ (Josh, to us friends) Ryan joins us to discuss The Joyners and various other topics. The Joyners, which was recently featured as a Debut Review at Too Many Comics, was first printed in 2014 in a black/white, 3D fashion. Joining us for the latest edition of Interview Spectacular was Joe Eisma, the brains behind the incredible artwork found in Morning Glories. Fresh off its 50th issue (though recorded the night before), Morning Glories is set to begin a new story arc, called Summer Vacation, later this year. Joe talks about the beginnings of Morning Glories, his working relationship with Nick Spencer, his career, upcoming work, his process, and much more. Of course, that means he also answered some rapid fire questions. Last week, we had the pleasure of speaking with Tom Riordan, creator of Killbox - a recent favorite of Too Many Comics. Tom, currently living in LA, details his world through comics and the amount of writing rejections it's taken to get to the point of a published book. We take a look a look at Killbox, what's next on the agenda for Tom, and what he's been picking up at his local shop recently. Late last month, we had the opportunity to speak with Frank Barbiere as he prepared the launch of his latest title, The Revisionist. Due to some outside circumstances, we weren't able to record new shows or post the interview, so this is a little late. Regardless, if you didn't pick up the first issue of The Revisionist, you should. And grab #2 in the a couple weeks. But first, listen to Frank dive into the series, his career in comics and what's next for him as he continues to push through the industry. Thanks again to Frank, and our apologies for the late posting. Enjoy! In the latest Interview Spectacular, Brooks and Alan are joined by Trespasser creator Justin M. Ryan - a young creator fresh off his first published piece with Alterna Comics. Justin talks about his venture through the comics industry, how he got started, what's next after his initial title and much more. Trespasser hit comic shelves on Feb. 10 and will continue as a four-issue miniseries. We strongly suggest you give it a shot (you can even subscribe to the series on Comixology as well). Donny Cates and Eliot Rahal joined us for the third installment of Interview Spectacular in anticipation of their upcoming ongoing series with Geoff Shaw at Dark Horse, The Paybacks. The two detail their friendship, which started as interns at Marvel, how that helped form writing styles, and got their minds moving on potential comic storylines. We talk past work, the strong message behind Buzzkill, what it's like to work with Dark Horse, and the two must decide between My Chemical Romance and The Toadies. More importantly, we get some insider details on the world of The Paybacks. The Paybacks hits shelves on September 16, so please get in your orders at your local shop today, and check out recent work below. 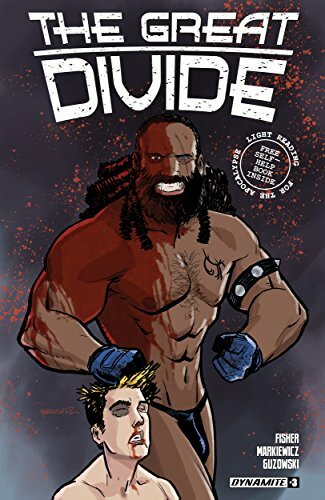 Writer John Arcudi joins the show to talk his (and James Harren's) Rumble at Image Comics. Rumble's second arc is set to begin at the end of August, and Arcudi shares his vision for the series and the lengths he went to make this story a reality. Many thanks to John for joining the show. If you haven't read any of his work (including quite a bit at Dark Horse), take a dive and enjoy. In this special episode, we launch our newest feature, Interview Spectacular, with writer Nathan Edmondson. Nathan -- whose most recent work is seen at Marvel in the forms of Black Widow, Punisher and Deathlok -- joined us for a great talk on the comics creating process, what's next after his current titles and much more. Programming note: The interview is broken into three parts with two fade out/ins denoting a new point in conversation. Thank you again to Nathan. Please look up his work, and go read.